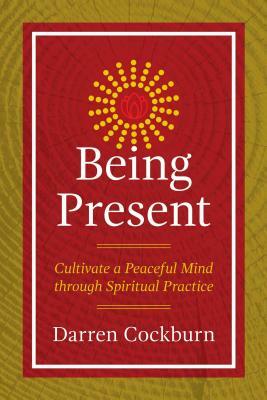 Offering a synthesis of spiritual teachings viewed through the lens of modern personal experiences, Darren Cockburn provides practical insight into how to cultivate a peaceful mind, live skillfully, and nurture a spiritual connection through the power of the present moment. The author shares practical exercises, meditations, and reflections, revealing how to free yourself from becoming lost in unhelpful thoughts and emotions, while bringing acceptance to what life presents you with. He explains how to generate true mindfulness through connection to your breath as well as immersion in nature. He details how to use your body as a tool for raising your level of consciousness as well as how to weave exercise, diet, breathing techniques, and sexuality into your spiritual practice. He explores how to work with occurrences like tiredness, illness, and pain as spiritual teachers for enriching your presence of mind and being. The author explains how simplifying life where possible will also bring a better understanding to all types of existing addictions, including harmful thought patterns, providing precious breathing space for our overly busy minds. In addition, he shows how a stable practice of mindful presence can enhance the quality of communication with others, be it with family, with friends, or at work. Alongside an introduction to meditation techniques and supportive wisdom teachings from Buddhist and other spiritual traditions, Cockburn provides useful guidance on successfully integrating a regular spiritual practice into your day-to-day activities. He also includes pointers on how to create your own unique and personal structure in order to support your ongoing spiritual practice, the fruits of which will ultimately be a peaceful, calmer, and more connected experience of life. “Reading Darren’s book Being Present feels like a meditation. In clear, simple language Darren describes the process of letting go of identification with our thoughts and feelings and invites us to a place of peace with what is. I have spent enough time with Darren to realize that this book is a transmission of his own deep practice of Presence. His teachings spring from his lived experience, and the authenticity of his words radiate from the page. “I met Darren in India at a yoga center several years ago, and I was struck by his Presence and kindness toward others. We later came to know each other, and I learned there were profound wisdom and spiritual teachings behind his outlook on life. Reading Being Present helps in keeping these teachings alive in daily life. For me practicing awareness through meditation and contemplating how to simplify my life makes me more peaceful and grounded in my often stressful working days.